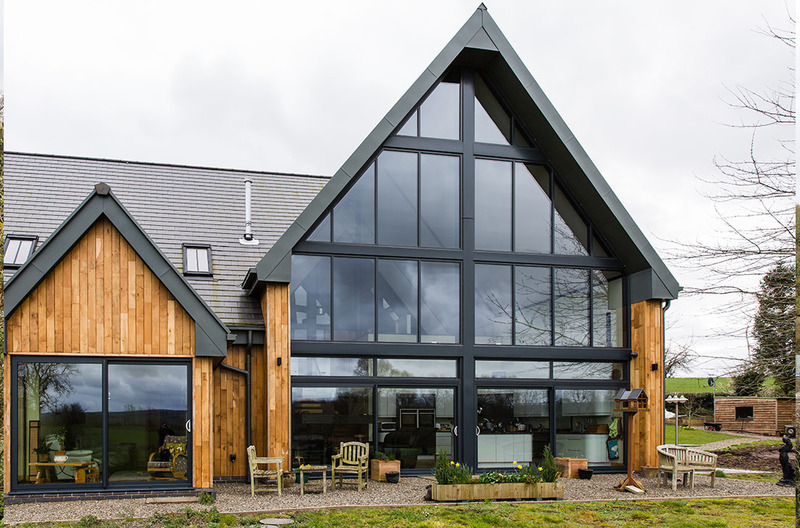 Mr and Mrs King planned a stunning new build on the land they owned a previous small cottage. 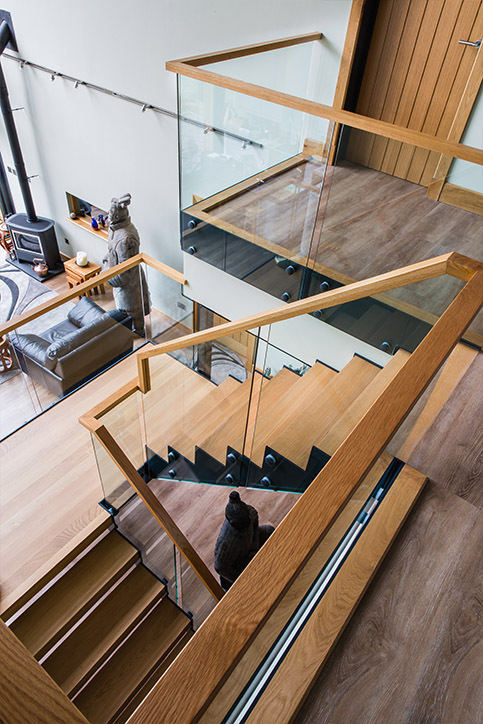 The new build was to designed to suit their retirement perfectly, and the space around the property was certainly grand designs worthy. 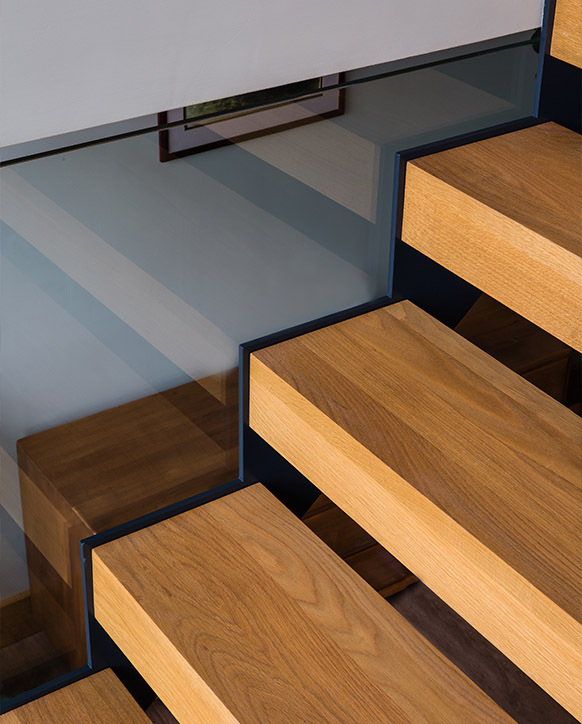 Working alongside the Kings builders and project managers was a breeze for our design team considering the unique staircase design. 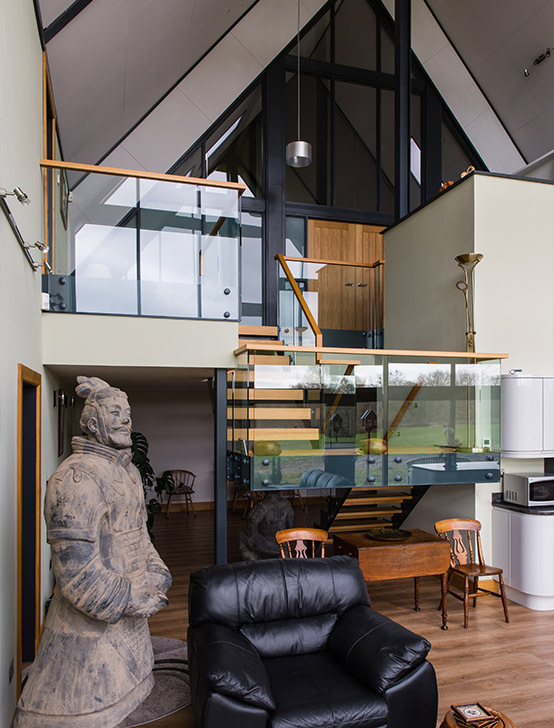 Mr King wished for a completely open plan living and kitchen space, as do the majority of our clients nowadays. 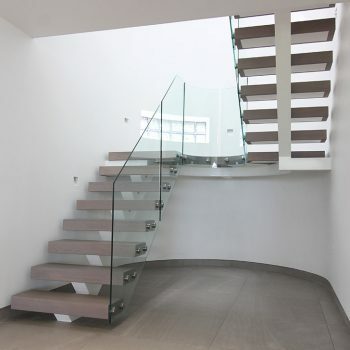 So this called for a bespoke open plan staircase. 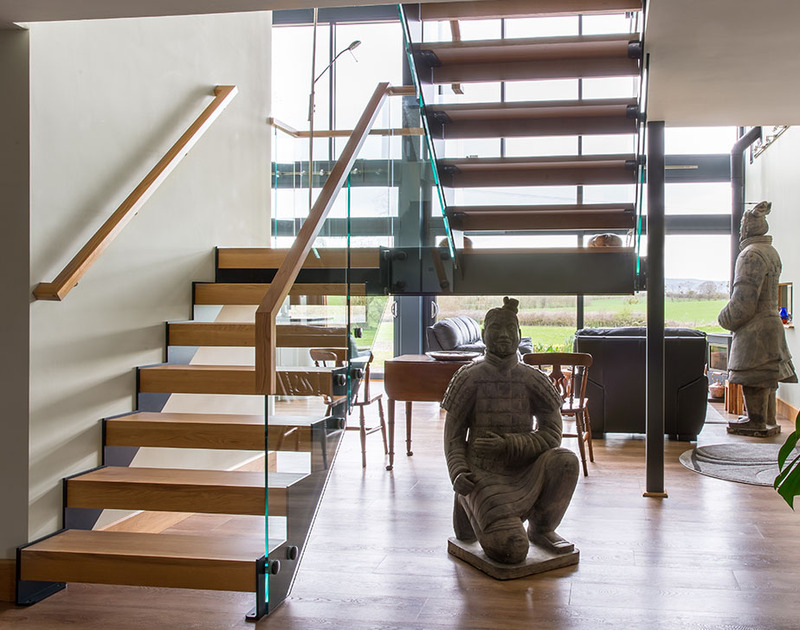 The client wished for a floating landing with no structural posts visible to create the perspective of optimum space, to achieve with we only had the one pillar that was structure to the upper floor and one block wall. A challenge we accepted without hesitation. 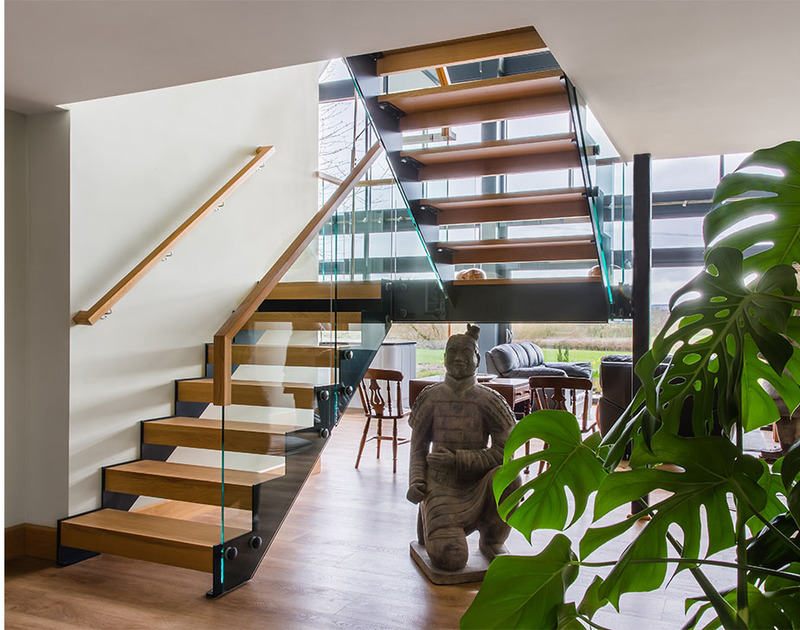 A floating, cantilevered half landing was achieved through a very complex steel structure within the staircase strings. 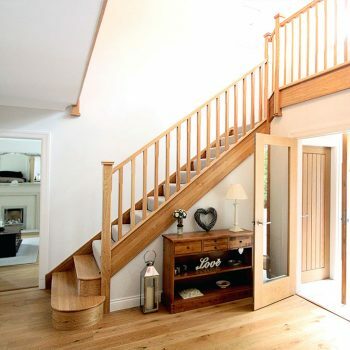 This staircase from our range is known as ‘Trim’ due to the cut style shape on the side element of the staircase (strings). 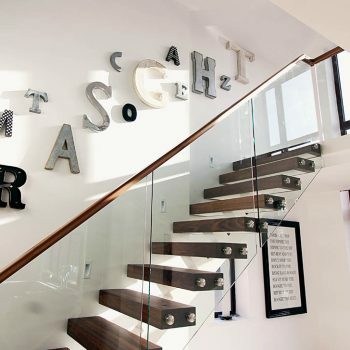 Adding this level of detail transforms a usual staircase to something that little more special. 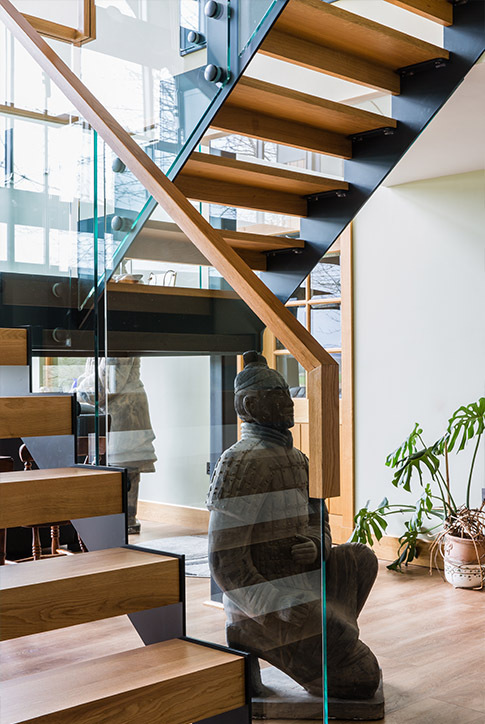 THese slimline steel strings (sides) allow the structure required for completely frameless glass, so there is no need for those obtrusive large structural posts that most staircases require. 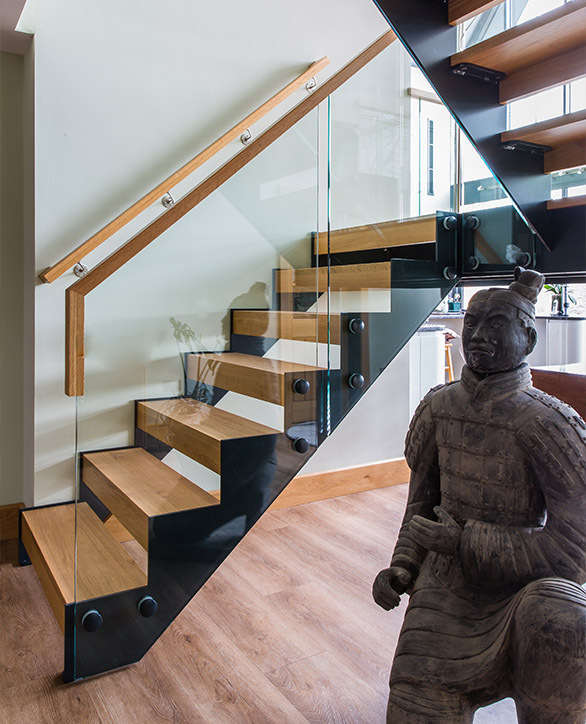 The beauty of using the frameless balustrades allows us to design a unique feature handrail that is continuous around the entire staircase and landing. 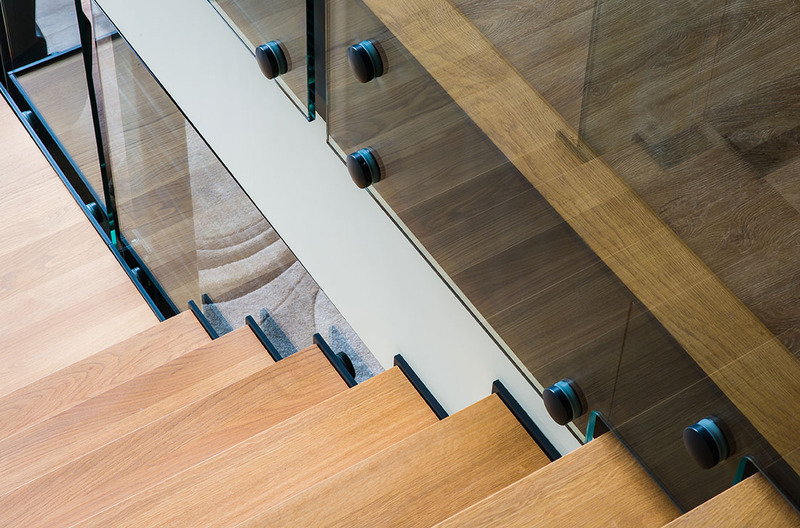 The client can walk all around the staircase and upstairs landing without the need of ever removing their hand from the rail… some perfect craftsmanship for visual appeal and an element of safety during use.